Another Super Bowl is around the corner, and as millions tune in to watch their favorite teams battle it out on the field, guess what we will be looking out for? That’s right, commercials featuring CATS! 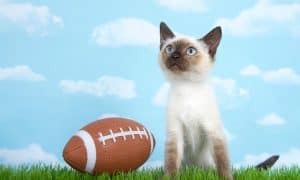 While we wait for the newest ads from the companies that shell out $4.5 million for 30 seconds of airtime during the Big Game, here are a few of our favorite Super Bowl commercials from years past…all featuring cats, of course! Do you remember these? 1. 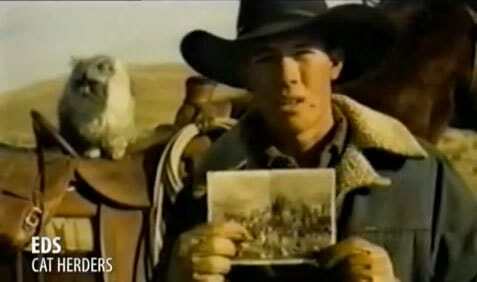 The “cat herders” commercial is one of the best remembered of all Super Bowl ads. Aired back in 2000, it was widely considered to be the most entertaining new ad that year. Then again, most people can’t remember what it was an advertisement for. The ad seemed to have little to say about Electronic Data Systems, a company which no longer even exists today, having been absorbed by Hewlett Packard in 2008. 2. Ameriquest Mortgage uses an hilarious sequence of events, ending in an apparent cat homicide, to tell us “don’t judge too quickly… we won’t”. This ad originally aired during the 2006 Super Bowl. 3. Who could forget the E-Trade commercials with the talking babies? Do you remember this one from 2011, featuring Peppers, the sneezing cat? 4. This 2012 Super Bowl ad from Doritos was said to be one of the best commercials that year. It features a dog – who killed the family cat and got caught – bribing his human with Doritos chips to keep quiet. 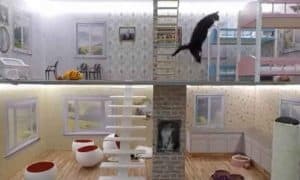 The ad did cause a bit of outrage from cat lovers who believed the ad was in poor taste. What did you think of it? After lots and lots of searching for Super Bowl ads that featured cats, I came to one conclusion. There aren’t enough cat commercials on TV! Meet Skully, The Naked Weather Cat! Keeping Up With The Kattarshians: Finally, A Reality Show Starring Cats! This ariclte went ahead and made my day. Thanks so much for giving everyone such a breathtaking opportunity to read critical reviews from this blog. It is always so kind and stuffed with a good time for me personally and my office mates to search your blog not less than thrice a week to read the newest things you will have. And of course, we’re usually fascinated with the awesome tips and hints you give. Some 1 tips on this page are unquestionably the most effective we’ve ever had. August 27, 2012 at 10:35the Big Bang Theory is the best comedy on TV ever. each cast member is perfect for his or her character. sheldon is just too much. kaley Cuoco is the second most gorgeous woman on the planet. if I had just 1 wish, it would be able to date her.